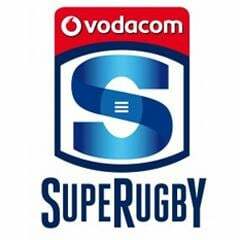 Cape Town - Bulls flyhalf Handre Pollard was in top form and distinguished himself as a points machined for his side in the fourth round of the 2015 Super Rugby competition. Statistics taken from the Vodacom Rugby App demonstrates how much an impact he made over the weekend. To say Pollard was instrumental in the Bulls’ 39-20 victory over the Cheetahs in Bloemfontein would be an understatement. The 20-year-old contributed 29 of his side’s points with a try, three conversions, a drop goal and five penalty conversions. 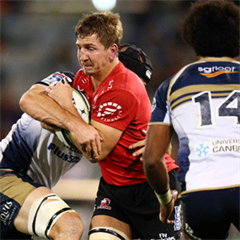 He was the leading points-scorer in Round 4 of the competition with the Waratahs’ Bernard Foley scoring the second most with his 18. Stormers pivot Demetri Catrakilis is third in the Points category with his 14, while Pat Lambie (13) of the Sharks and the Cheetahs’ Joe Pietersen (10) are fourth and fifth respectively. Pollard also topped the Penalty Goals bracket with his five-from-five attempts, while Catrakilis grabs second spot with the four he slotted in his side’s victory over the Sharks. Lions flyhalf Elton Jantjies shares the top spot in the Kicks-from-Hand category with Pollard, the two No 10s putting 11 balls to boot. Stormers fullback Cheslin Kolbe, Catrakilis and the Reds’ Nick Frisby made 10 kicks-from-hand each over the past weekend. 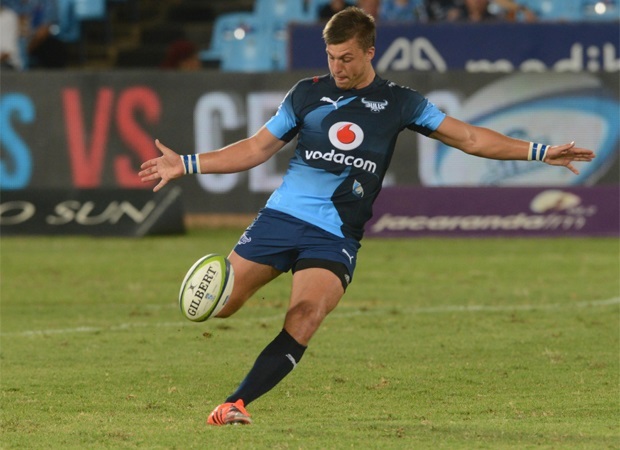 Fullback Jesse Kriel is becoming quite a weapon in the Bulls’ artillery and has topped the Metres Run bracket with the 158 metres he covered in Bloemfontein with the Waratahs’ Peer Betham coming in second with the 131m he ran. Kriel again features high up in the Clean Breaks department where he shares second place with team-mate Bjorn Basson with the duo making three apiece with Foley topping the ranks with four. For a share of fourth place, the Highlanders’ Ben Smith and Kolbe have made two Clean Breaks apiece. The Cheetahs’ Coenie Oosthuizen tops the Carries category with Ben McCalman of the Force with 16, while Kolbe’s name crops up in fourth place with his 14. Another standout South African player is Stormers centre Damian de Allende, who shares second place in the Defenders Beaten rankings. They have pierced the opposition defences on six occasions each, while Kolbe had the better of five defenders over the weekend. 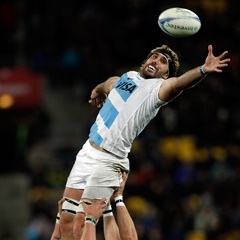 Lions captain Warren Whiteley led from the front in his side’s victory over the Blues in Auckland on Saturday. Whiteley made 27 tackles to lead this category, while team-mate Warwick Tecklenburg made the second most with his 23.